RoundUp Cafe in Koramangala goes beyond the realm of what a regular cafe is. There's a jacuzzi and a mini theatre to start with and you can also work out of here while you puff your hookah and bite into fries and pizza. 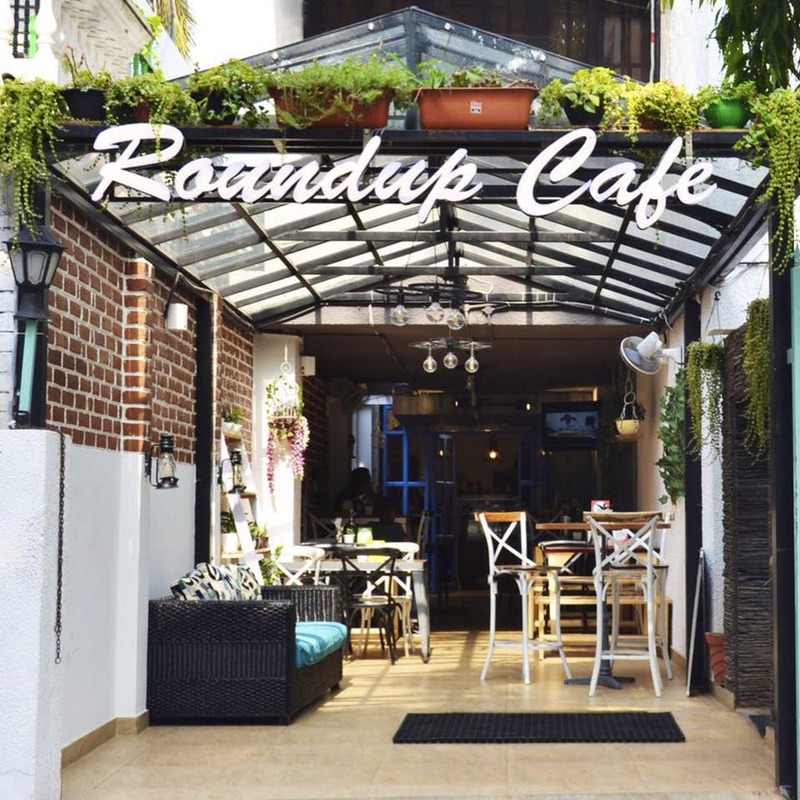 Housed inside a villa, RoundUp Cafe is one of those cafes in Koramangala that you'd head to for a nice cup of coffee and catch up sesh with your BFF. In fact, the alfresco seating is very pretty in the evenings with fairy lights strung above. Date nights? Oh yes. Or even when you want to unwind with the gang over some hookah and a continental fare of pasta, burgers, and pizza. It's also one of those Koramangala cafes with free WiFi, so working out of here is also an option. But what makes the cafe really cool is the fact that it's a full-fledged party pad. It's really cool given the fact that the party space has a mini home theatre with a 140-inch screen. You can even book out the theatre just as it is for game nights or when you want to watch your favourite movie on the big screen with your squad for INR 500 an hour. The private rooftop space is where the jacuzzi is and for all those times you want to have a jacuzzi party, here's your chance! You can book out the entire party pad along with the rooms (there's three) for just about anything from bachelorette to birthday parties. The only thing we ask you is to invite us! You'll need to check about the availability with the cafe manager before booking out the party pad.